A Big step in enhancement of transparency through digitization has been taken by NF Railway as Rangiya station of Assam under Rangia Division becomes the 1st station of NF Railway to implement full automation of the Train Signal Register (TSR). Train Signal Register is a document to be maintained by the Station Master where all records of passing trains including time of entry to station limit, time of departure and all associated processes are recorded. The existing practice is that the data is manually entered by the Station Master every time a train crosses the station. 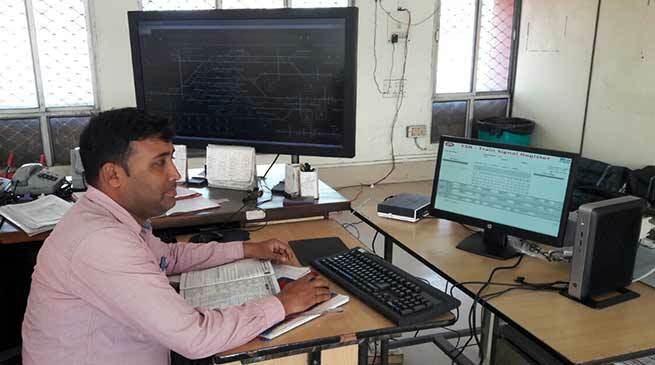 The process however has been automated in Rangiya station where software designed by CRIS (Centre for Railway Information System) has been installed which records all actual details of passing trains. This results in high level of transparency and leaves the Station Master with more time to concentrate on safety aspects. Moreover there is no possibility of altering or fudging the data. The automated Train Signal Register (TSR) is a legal document and can be very useful as a genuine source of information during enquiries of accidents etc. It is to be mentioned that already there has been extensive digitization of train planning and monitoring in railways with the commissioning of the COA (Control Office Application), where the entire process of charting of train has been computerised and the train control rooms of all Divisions across India have been connected in real time basis. This has minimised human interference and increased efficiency of operational planning – giving benefit like timely running of trains and better planning of precedence etc.